The main objective of Namami Gange is to prevent the flow of untreated sewage into Ganga and its tributaries. The Prayagraj project lays the foundation for the creation of new sewerage and wastewater treatment infrastructure, enhancement of existing sewers and treatment plant, and the long-term operation of city’s wastewater system. The venture will be delivered by a public, private partnership (PPP) concession known as the Hybrid Annuity Model, awarded by the state public health engineering department Uttar Pradesh Jal Nigam (UPJN), with the support of National Mission for Clean Ganga. The role of the consortium has been to establish what the PPP concession will need to deliver to meet new wastewater treatment standards. This encompassed creation of new assets, enhancement of existing assets, and operation and management of the new wastewater system after the construction and refurbishment work is complete. As a result of the consortium’s work it has been possible to prepare the PPP contract for a programme to increase the city’s ability to convey and treat 328 million litres per day (MLD) of wastewater by an additional 74 MLD. Engineers from Black & Veatch’s Mumbai offices reviewed the condition of the city’s existing wastewater system. Based on this, and the statutory wastewater quality standards and treatment capacity required for the city, the team devised the necessary programme of new-build and refurbishment work. Their programme covered both capital and operational expenditure. Click here to download a supporting image. Black & Veatch has been working in India since 1915. Black & Veatch has undertaken more than 80 water projects in India, which include Mumbai Sewage Disposal Project and Kerala Water Supply Project. Prayagraj is situated at the confluence of three rivers – Ganga, Yamuna, and the invisible Saraswati - which forms the holy Triveni Sangam. 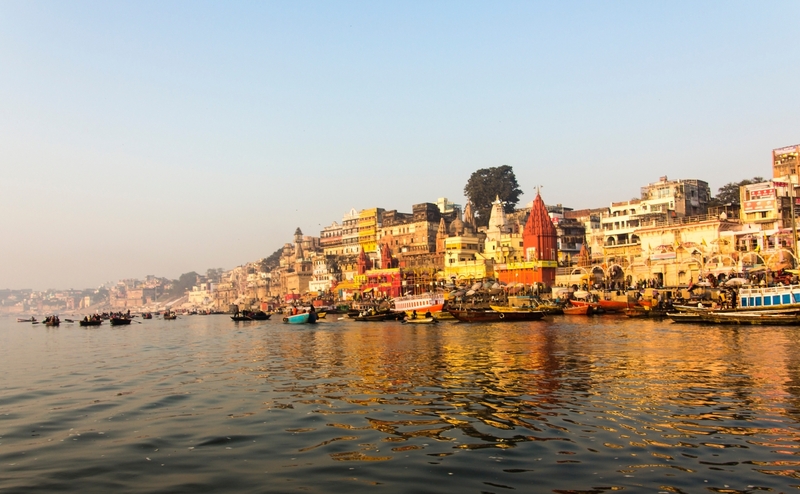 Every 12 years the city hosts the Kumbh Mela, the Hindu mass pilgrimage to venerated rivers. Black & Veatch is an employee-owned, global leader in building critical human infrastructure in Energy, Water, Telecommunications and Government Services. Since 1915, we have helped our clients improve the lives of people in over 100 countries through consulting, engineering, construction, operations and program management. Our revenues in 2017 were $3.4 billion. Follow us on www.bv.com and in social media.